COLUMBUS, Oh (WCMH) - Reports of a building collapse on Rickenbacker Parkway brought fire trucks and medics to the scene after thunderstorm winds blew through the area at 54mph. Columbus Division of Fire confirmed that medics were called to the report of a building collapse that resulted in minor injuries treated by EMS. Another building on Wright Brothers Avenue was also affected. 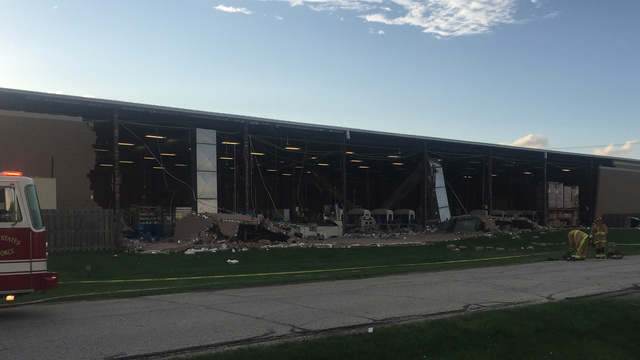 The National Weather Service confirmed that a thunderstorm blew through John Glenn Airport with windspeeds of 54mph at 6.22pm this evening, about the time that fire received the call at Rickenbacker Airport. Watch NBC to see this developing story.